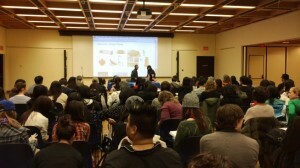 Nearly 200 people came to the “Japanese Design Today” lectures that took place on October 23, 2014. 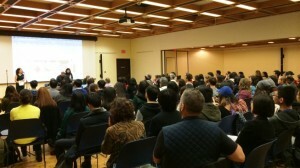 The event, which was co-presented by the Japan Foundation and Asian Library with the sponsorship of the Consulate General of Japan in Vancouver and the Asian Studies Department, featured two of the foremost experts on Japanese design. 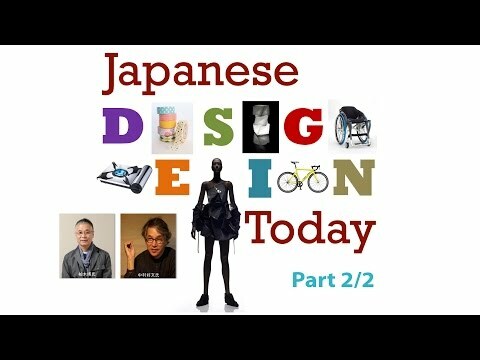 Professor Hiroshi Kashiwagi (柏木博) from Musashino Art University spoke on common elements of current Japanese design, including cute and minimal design. Mr. Yoshifumi Nakamura (中村好文), an architect and furniture designer, delved into the construction and design of a one-person, minimalist hut.